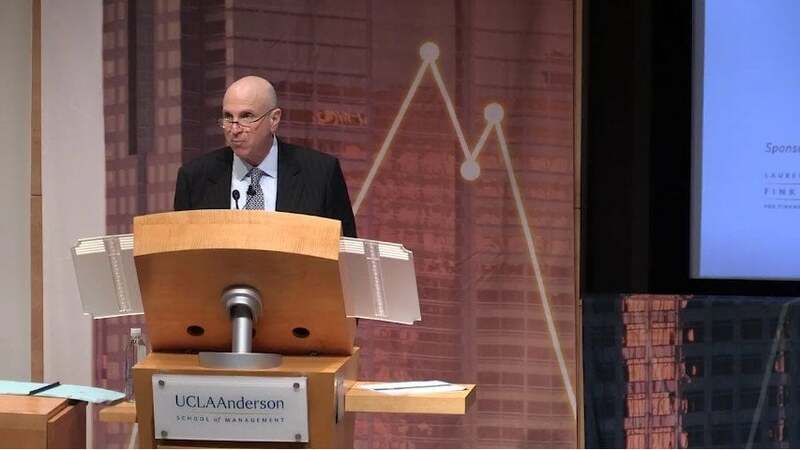 CEO Jay Wintrob discusses the state of the alternative investment management industry at the 7th Annual Fink Investing Conference at UCLA Anderson. Welcome to the seventh annual Finke investing conference. What a wonderful site this is. We have a lot of seasoned investment professionals but alongside all of you we have energetic young people on the brink of launching their careers. My name is Lori St. Tikkun. I am a professor of finance and strategy here at UCLA Anderson. I am also the director of our fings Center for Finance and Investments. Together with the Andersen Investment Association and our Student Directors Bob Mears I had a green Spencer may yawn you And Janell Xu. I'm thrilled to welcome you to campus for a fun and educational afternoon with your peers and soon to be peers the Think Centre for Finance and Investments serves as a bridge connecting academic and practitioner insights on the broad world of finance. We're excited to have several leading practitioners join our esteemed faculty this afternoon for thought provoking discussion on financial markets. To kick off our program we have Jay when trub CEO of Oaktree Capital Oaktree Capital Management is a global artisan of investment management firm with expertise in credit strategies. They have over 120 billion in assets under management and over 900 employees around the world. Quite impressive. However they started off as a small entrepreneurial venture by a few founders founders and this is something that resonates very strongly with our students at Andersen where the entrepreneurial bug is very contagious even among our finance students. Jay joined oak tree in 2014 as oak trees first CEO after being founder led for two decades. Jay is a lawyer by training a proud graduate of UC Berkeley. He's a double bear if you will. Having earned both his bachelors and law degrees from Cal J. If anyone gives you a hard time about that justice I'll protect you. I went to Berkeley two prior to Oak Tree Jay served as president and CEO of AIG life in retirement President of SunAmerica investments and also practice as an attorney. Early in his career so we're thrilled that you could join us today. Without further ado. Let's welcome Jay windrow. Thank you. Thank you very much Laurie. It's really a privilege to be here today with everybody. I'll start with a couple of thank yous. I want to thank Dean olyan who I didn't get a chance to see today. Laurie my dear dear friend Jill battledore for inviting me here to speak UCLA and the Anderson School are two remarkable institutions that I hold near and dear both because I had two brothers who graduated from UCLA and they also had the chance to serve on the board of the Anderson School from 1997 to 2004. And as Lori mentioned as a loyal Cal Golden Bear I can honestly say that UCLA is my second favorite Pac 12 school. So when I was asked to talk and allowed to talk about almost anything I want to start out and sort of focus on three things I'm going to talk briefly about Oaktree Capital Management the firm that I'm very privileged and fortunate to be the CEO of. I want to talk about. Secondly the very bright growth prospects for the investment management industry and in particular alternative investments. Then thirdly maybe a few remarks about the markets and where we are in the cycle and where we might be headed. And then I look forward to taking questions about anything from anyone. At the end of my talk so to jump into this if I can figure out.